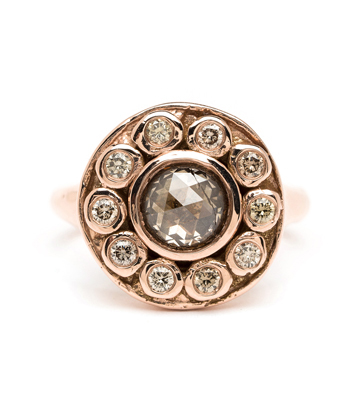 We love diamond cluster rings to begin with, but when they are full of “chunky” old mine cuts and the cluster sits low to the finger, we are over the moon for this low-profile design! 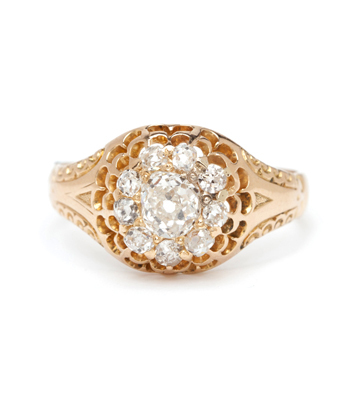 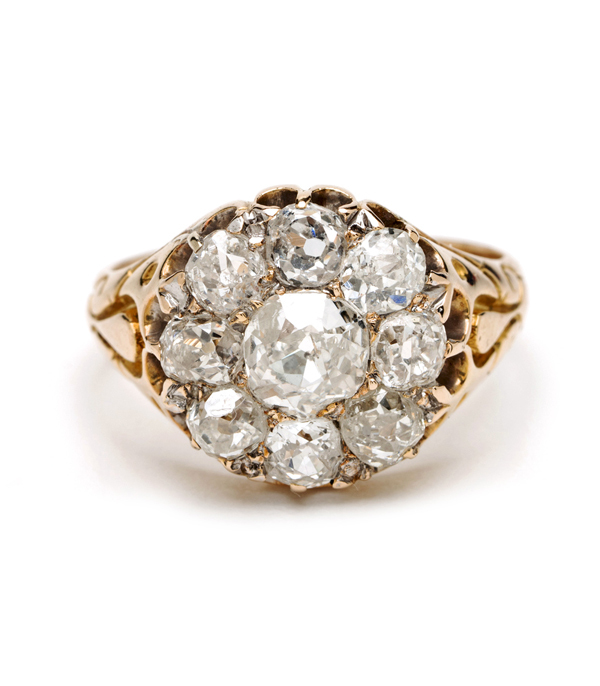 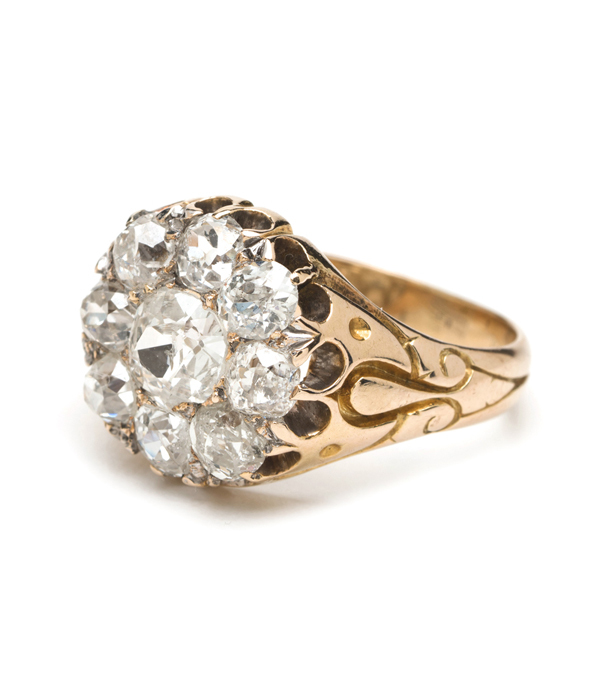 This Victorian beauty is the epitome of diamond cluster rings. 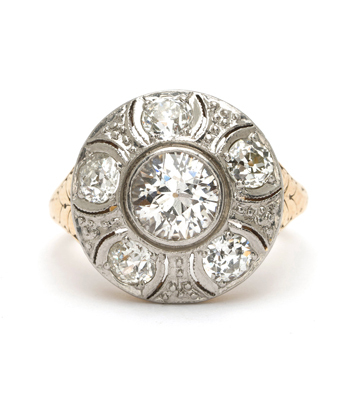 Set with 9 glistening Old Mine cut diamonds (approx 1.00ctw), and beautifully lyrical details along the shoulder of the band, this statement-making ring leaves no angle un-addressed. 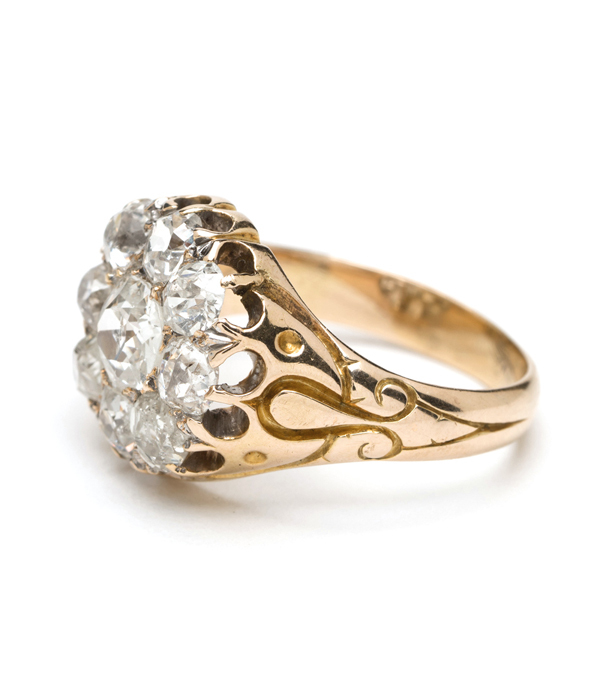 This beauty shines like a super moon- not to be missed!